Are you bored eating same plain oats every morning? Try out this sweet recipe from The Full Helping. 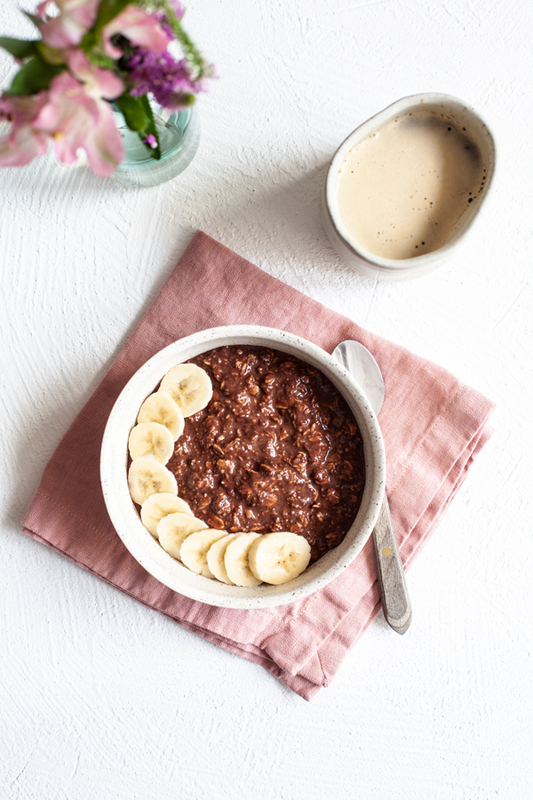 To create this creamy vegan banana mocha overnight oats what you’ll need is non-dairy milk of your choice, rolled oats, dates, strong coffee and delicious cacao powder. Just prepare it in the evening, let it come together overnight and it is ready. This recipe can be very helpful if you don’t have much time in the morning!